Nicholas's affair with the captivating Clare is not progressing well. 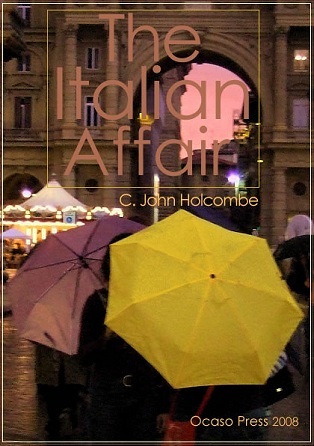 In fact it's not progressing at all, despite a summer holiday together in Italy where they do all that could be expected of a well-bred and cultivated couple: tour around, visit galleries and churches, follow up invitations and dine out in romantic settings. Back home in England, Nicholas is even more perplexed when Clare takes up with a young socialite who dabbles in banking. What is the budding art historian to do? Friends come to the rescue with research for a Fragonard drawing that take our two once more to Italy, but now with a keener appreciation of each other. An affectionate look at the antics and follies of the English upper-middle classes — a sort of Three Weddings and A Funeral in verse. of old year's ending changes anything. So to our story, which has started well. it was a smile and kiss to separate rooms. in looking backwards now am not so sure. A little patient, therefore, nothing's certain. and will say so, roundly, by and by.